Our Centre for Advanced Separations Engineering recently hosted a two-day workshop on 'Partaking innovations in separations, catalysis and porous materials'. 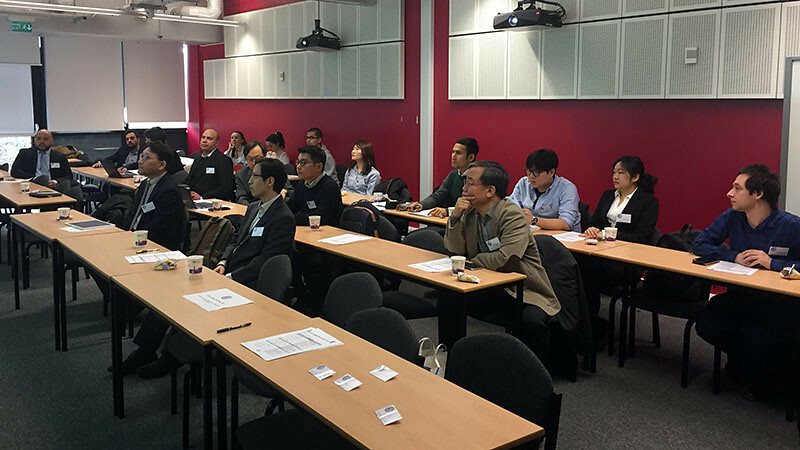 The event welcomed delegates from Yonsei University's Department of Chemical and Biomolecular Engineering to Bath. The workshop focused on developing new links between the research groups. The workshop opened with a day of presentations on current research. Academics and PhD students from both universities shared their knowledge on a range of topics. On the second day, researchers developed plans to submit joint applications to international collaboration programmes. These included calls from the Royal Society, Royal Academy of Engineering and EU-Korea Horizon 2020. Professor Tim Mays, Head of Chemical Engineering, added, ‘Connecting with international partners is an integral part of our long-term strategy to increase the research power and reputation of the Department. We are also very happy to develop connections between PhD students and postdoctoral researchers at both institutions. Building a strong international network will support their future career development’. To date, our strategic partnership with Yonsei University has seen a number of successful student exchanges and joint publications. The workshop was organised by Professor Davide Mattia and Dr Carmelo Herdes from our Department of Chemical Engineering. Professor Jong Hak Kim led the Yonsei delegation.